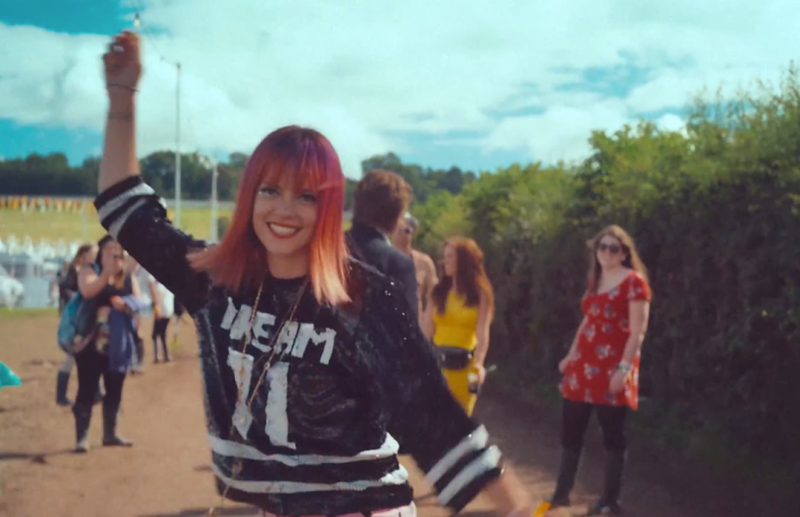 Lily Allen has shared the video for arguably Sheezus’ most feel-good track, “As Long As I Got You”. As a reflection of its saccharine vibes, the accompanying visuals find Allen documenting the sentimental role that Glastonbury Festival has played in her life. “I’ve been to Glastonbury pretty much every year since I’ve been born,” Allen said, offering up a few photos from festivals past, including some adorable baby pics, before launching into walking tour of this year’s festivities. By now, Allen’s prowess for satire is well documented, but it’s sort of nice to see her embrace a sense of poppy romanticism without all that underlying snark.